The Wake Forest Law LLM degree program is primarily designed for international lawyers and students who hold a first degree in law from their home countries and desire to enhance their legal careers by studying the laws of the United States. The LLM is a one-year, full time course of study that encourages students to pursue their individual interests through research and coursework. Students may elect to extend their course of study for longer than a year with approval. Founded in 1834, Wake Forest University, is a distinguished institution of higher education located in Winston-Salem, North Carolina. The University comprises of an undergraduate college, a graduate school of arts and sciences, and several professional schools to include the School of Law, Wake Forest University School of Medicine, the Divinity School, and the Wake Forest University School of Business. Total University enrollment is approximately 7,500 students located on Reynolda Campus, Wake Forest University is situated on 340 acres which also includes Wake Forest School of Reynolda Gardens and Reynolda Village for shopping, restaurants, and other services in a beautiful setting. Less than a mile from the campus is the Graylyn International Conference Center, a 55-acre estate owned by the university. Ranked as one of the top law schools in the United States, our small size is a huge advantage. We offer small classes that include American JD students and LLM students, a supportive mentoring program, and the talents of Wake Forest's dedicated faculty. The LLM program, like our law school, is small and selective by design. The program has a long-standing tradition of preparing its graduates for significant leadership roles and its alumni include prominent private attorneys, judges, government officials, in-house attorneys, general counsels, and SJD candidates. We emphasize close personal attention to the student, one-on-one interaction with the professors, the daily opportunity to interact with American JD students, and geographic diversity in the LLM class. The faculty and staff at Wake Forest University make significant efforts to assist students in their search for positions and internships. LL.M students have the opportunity to attend workshops on résumés, cover-letter writing, networking, and interviewing techniques. In addition, they are eligible to take advantage of the services offered by the Office of Career and Professional Development. Our dedicated faculty, who are respected legal scholars as well as seasoned practitioners, pride themselves on being accessible to our students. With a low 10:1 student faculty ratio, LL.M. students are assigned a faculty advisor to assist him/her in their course selection and research. Already possess (or are in the process of graduating with) a law degree from their home country. Have an official TOEFL score of 100 or above on the internet-based test. An IELTS score of above a 7.0 is also acceptable. 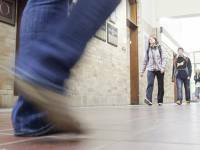 Conditional admissions may be granted for those that require further ESL studies. Applicants are encouraged to submit their applications and supporting materials via Law School Admission Council (LSAC) Document Assembly Service. The application fee is waived if applying through LSAC. Applications (PDF) and all supporting materials can be submitted to llm@wfu.edu. The deadline for application submission is June 1st. A $75 application fee, waived if applying through LSAC. Instructions for payment can be found in the application instructions. Official transcripts from each institution of higher learning (university or college) previously attended. Transcripts should be in both the native language of the institution and in English. It should also include an explanation of the university's grading system. LSAC's LLM International Transcript Authentication and Evaluation Service is preferred. A minimum TOEFL score of 100 on the Test of English as a Foreign Language (TOEFL). A score of 7.0 on the International English Language Testing System (IELTS) is also accepted. A current résumé or curriculum vitae outlining all relevant academic and professional achievements. A one- to two-page personal statement explaining your reasons for pursuing an LLM degree, as well as your future plans and goals. Applicants should describe what course of study they are interested in pursuing and how Wake Forest Law can assist them in achieving these goals. Two letters of recommendation that address your ability to pursue graduate legal study. Ideally, these letters should come from law professors or former employers of the applicant. Upon acceptance, financial documentation is required indicating that you have sufficient funds to support your study at the law school. For more information on the application process, please visit our website at llm.law.wfu.edu/admissions/forms/. Wake Forest School of Law offers a limited number of merit-based scholarships for international applicants. All applicants are considered for these awards on the basis of their academic credentials, professional experience, and English abilities, and no additional application forms are required. Typically, these awards only cover a portion of the tuition costs, so an additional source of funding is required. Applicants in need of financial assistance should begin exploring possible scholarships, grants, and educational loans well in advance of his/her planned entrance into the LL.M. program. A partial list of foundations that offer scholarships to international students who wish to pursue graduate study in the U.S. are listed at llm.law.wfu.edu/admissions/financial/scholarships/. Winston-Salem is a small city of approximately 230,000 people, located in Forsyth County in the Piedmont area of North Carolina. The Blue Ridge Mountains are an accessible 75 miles to the west, and the city is 225 miles from the beaches of the Atlantic Ocean. The region enjoys a moderate climate, with an average summer temperature of 73.9 degrees Fahrenheit and an average winter temperature of 45.3 degrees Fahrenheit. The city offers an active cultural life and numerous opportunities for recreation and study. With a vibrant downtown, you'll find unique bars, restaurants, art galleries, music venues and shops. There are plenty of ways for you to enjoy the history and culture of the area such as historic Old Salem, the River Run Film Festival, Phuzz Phest Independent Music Festival, the Hispanic League's Annual Fiesta, Salute! The North Carolina Wine Celebration, Texas Pete Culinary Arts Festival, the annual PRIDE Parade and Bookmarks Book Festival. There are many choices of convenient, comfortable, affordable housing in Winston Salem. Wake Forest University maintains a limited number of university-owned houses which are available to law school students. These fully furnished properties are conveniently located within walking distance of the Law School. More information on these properties can be found on the Wake Forest Properties website. In addition, there are numerous housing options in the surrounding areas close to campus and many students find housing and/or roommates by using the Law School Housing List. Wake Forest University offers a variety of participant and spectator sports for men and women. There are many activities to include indoor and outdoor tennis, swimming, jogging trails, and a state-of-the-art exercise center in the Benson and Miller University Centers. For spectators, Wake Forest University plays a full schedule of Atlantic Coast Conference sports. Both JD and LLM students participate in a wide variety of intramural club sports on the campus such as soccer and flag football. The Law school student body is very active and involved on campus through various student organizations. LL.M. 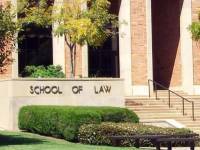 students may join any of the Law School student organizations that interest them. Additionally, Wake Forest University has an active Student Union and Center for Global Programs & Studies which organizes campus activities, concerts, move nights, and weekend trips. Accepted applicants are encouraged to enroll in Wake Forest University's Legal English Summer Program. This intensive four week academic legal-English program is designed specifically for incoming LLM students. Anybody applying to a SJD program? Anybody applying to a SJD program? Swiss LL.M. Applicants? Swiss LL.M. Applicants?